With all of the Star Wars fans out there saluting each other today with the phrase, "May the fourth be with you", I thought it would be fitting to pass along some photos that our friend Brian Hoffman took while visiting the Computer History Museum in Mountain View, California. You may be asking - how do photos from a computer museum tie in to Star Wars? When the original Star Wars movie was released in 1977, it's visual appeal was immediate and captivating. One area that George Lucas realized he had spent an amazing amount of time on was the creation of the special effects, so he naturally wanted to look for a way to reduce that time for his next movie. In 1979 Lucas' team went on the hunt, and succeeded, in creating a computer graphic division for Lucas Arts to aid him in his future development. 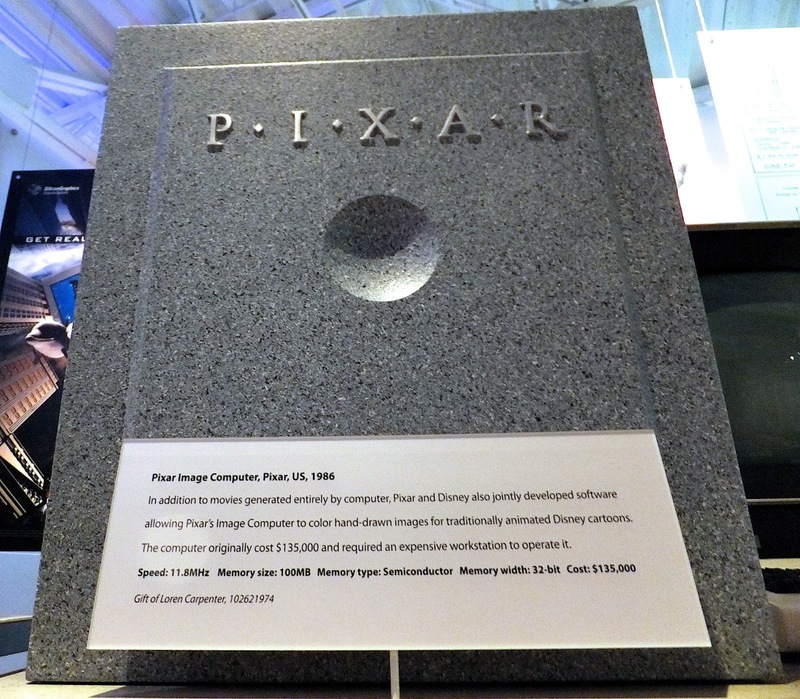 The Lucas Arts computer graphics division was eventually renamed Pixar as George was looking to sell of his pet project. After a series of interesting offers from a wide variety of companies, Steve Jobs finally stepped in with a seemingly amazing deal (if you knew the future) and bought the division for the sale price of five-million U.S. Dollars. Naturally, when Jobs took over he wanted to start positioning Pixar as super-computer manufacturer. 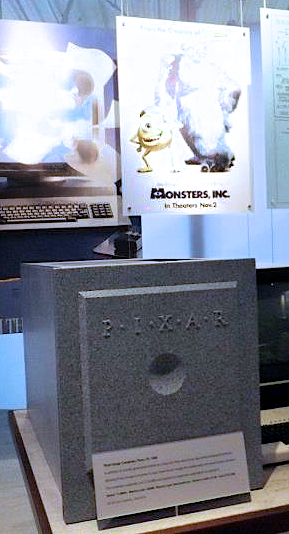 If it weren't for the stubborn personalities at Pixar, they may have never created the great movies we've come to love today. The long-story-short here is that Steve lost a lot of money and several Pixarians lost a lot of sleep in the early years. The original group of employees certainly paid their dues and worked through their struggles. I'm obviously skipping a lot of the details here, but if you'd like read all the gritty details, I'd suggest getting The Pixar Touch: The Making of a Company (click here or on the picture at the left to purchase the book) and reading all about the exciting and tumultuous stories. So there's your connection from a computer history museum to Star Wars. One other fun-fact - it was John Lasseter's idea to put the concave circle on the front of the Pixar computer case.